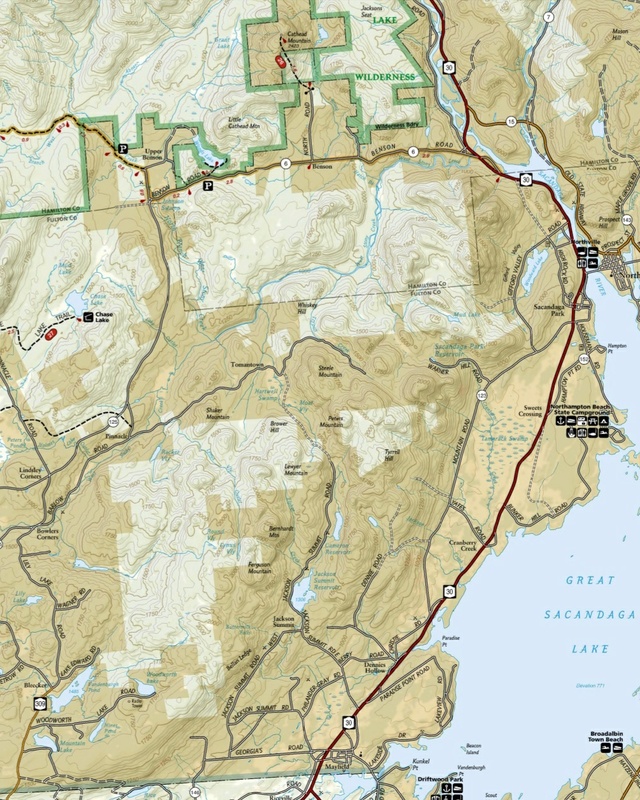 The 40,500 acre Shaker Mountain Wild Forest is located in southern Adirondack Park. This wild forest is easily accessible from Albany, Schenectady, Amsterdam, Gloversville and Johnstown. Popular state campgrounds are located at Caroga Lake and Northampton Beach. 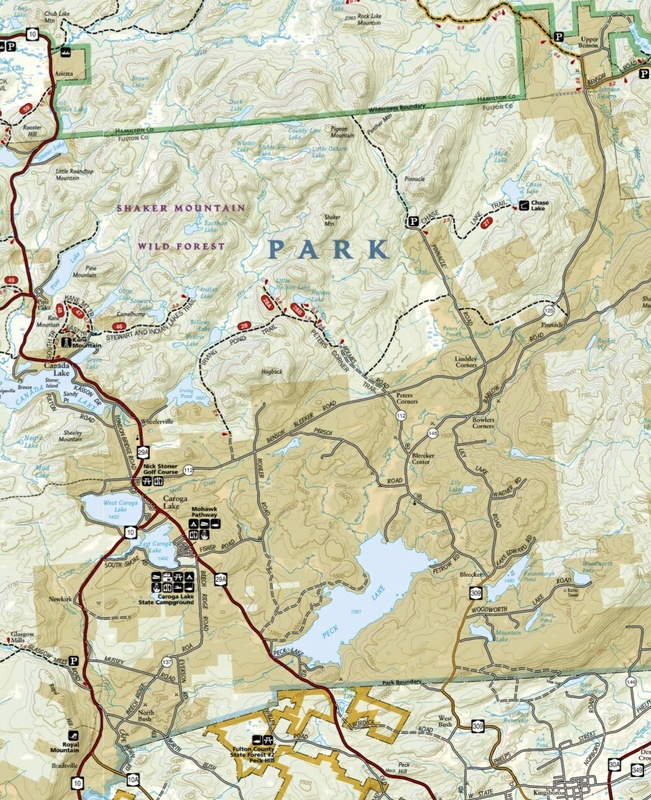 NY 10 is the western boundary of the wild forest, NY 30 to the east, the Adirondack Park blue line to the south and Silver Lake Wilderness is to the north. The popular Northville-Lake Placid Trail has its southern terminus at the Waterfront Park in the village of Northville and it's first off road section for those heading north is located in Shaker Mountain Wild Forest. That 8.6 mile section of trail was completed in September 2015. This eliminated a long road walk on NY 30 and Benson Road. The most popular destination in Shaker Mountain Wild Forest is hiking to the fire tower on Kane Mountain. In the summer of 2010 a new Chase Lake Lean To was constructed on the northern shore of the lake. The former lean to site on the south shore has been marked as a designated tenting spot. A new lean-to was constructed in 2009 near Holmes Lake.